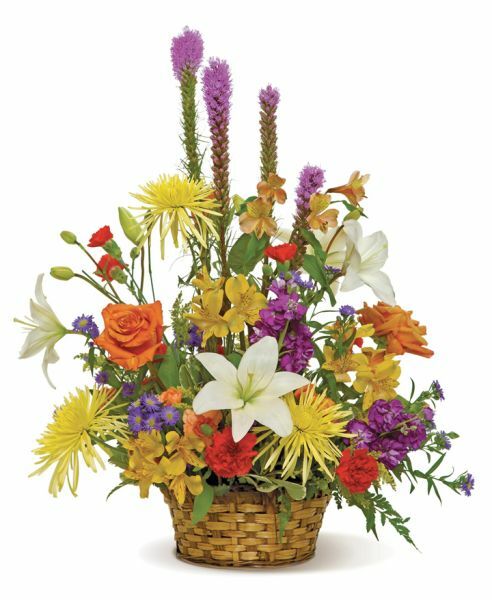 For a truly wonderful celebration, choose this big, bold and colorful flower arrangement of assorted flowers, in complementary colors of yellow, white, orange, red and lavender. It?s like summertime in a basket! $79.99 plus delivery. Call 315-823-7073 to order.